There are a lot of debates and discussions going on about video games, both in the mainstream press and academia. But the two don’t always overlap as much as they should. What’s going on in academia isn’t always packaged and communicated in a way that the rest of the world can make use of it. But what if someone wrote a book that summarized the current state of research on topics like video game violence, games for learning, the use of games as social spaces, gaming addiction, using games to promote healthy habits, and other topics of similar importance? Wouldn’t that be nice? 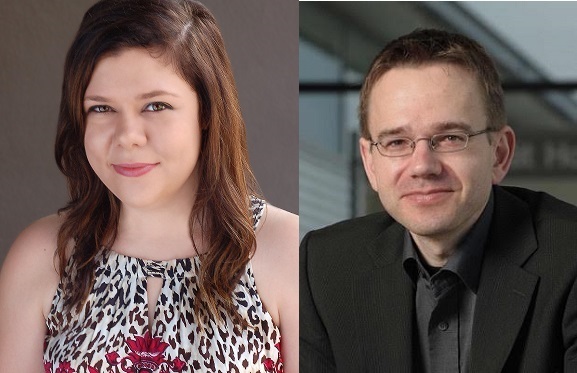 In this episode I talk to Rachel Kowert and Throsten Quandt, who have helped create and edit just that book. It’s called The Video Game Debate: Unravelling the Physical, Social, and Psychological Effects of Video Games. 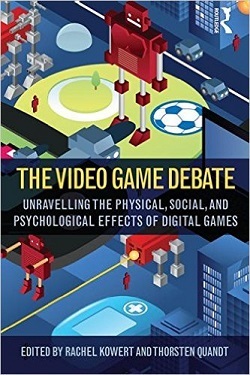 In it they have collected chapters from many of the leading experts on the psychology of video games. Curious? Listen to the podcast to learn more, as well as some general discussion about how psychology and other social scientists are examining video games these days. Oops! Dang, fixed. The player seems to be working for me, though. Anyone else having problems? What exactly is it doing? The direct link works now, thanks!! I write my own column and my intention is usually to make the scientific data available for those who can benefit from it, like developers and consumers. I’m sure there are plenty of other people doing their part too: Bloggers, YouTubers and Podcasters trying to provide quality information in a way that is easy to understand. We might not be able to compete with mass media, but at least we can reduce some of its damaging effects. Ok, I actually found it super depressing that Zimbardo said that and in such a way. I had always the biggest respect for the guy and now I feel a little dissapointed. I am also starting to fear that your blog/podcast will make me go bankrupt if I start buying all these books 😀 That said, I have just discovered you and your site and I have to say that it’s been a while since I’ve been this excited about anything – it is exactly the thing I was looking for in my life, and I really like how you make it easy to listen to for those without psychological background BUT without making it overly simple so people after psychology (like myself, I’ve graduated with Masters this summer!) don’t feel annoyed nor annoyed. It’s amazing and what you are doing is amazing.